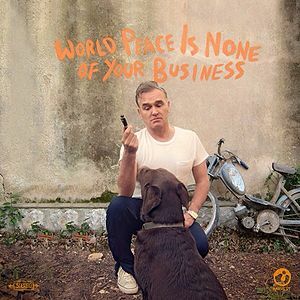 The Bullfighter Dies was the fourth single released off Morrissey's tenth solo album, World Peace Is None Of Your Business. The song was produced by Joe Chiccarelli and co-written by Jesse Tobias. The Bullfighter Dies was released as a digital single on 17 June 2014. The 45 pictured below was scheduled for global release by Harvest, but scrapped by Steve Barnett at the last minute. The b-side was the original French mix of the song One of Our Own. Note: "Scandinavia" (French mix) is listed as the b-side on the included image, which matches the listing of the aborted releases on Amazon.fr. 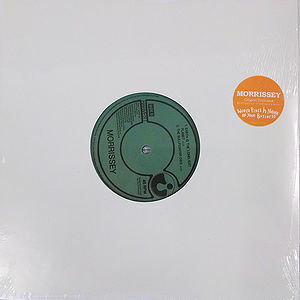 The other supposed vinyl singles included "Istanbul", "Kiss Me A Lot" and "Neal Cassady Drops Dead", featuring French mixes of "Smiler With Knife" and "Art-hounds", along with the aforementioned "Scandinavia". ill in Seville lonely in Barcelona then someone told you and you cheered "Hooray, hooray the bullfighter dies hooray, hooray the bullfighter dies and nobody cries because we all want the bull to survive"
Gaga in Malaga no mercy in Murcia mental in Valencia then someone tells you and you cheer "hooray, hooray the bullfighter dies hooray, hooray the bullfighter dies and nobody cries because we all want the bull to survive." ↑ Morran. (2015-01-08). "TTY: The Bullfighter Dies - single. Morrissey-solo. Retrieved from morrissey-solo.com. This page was last modified on 26 March 2015, at 23:16.